Why do new? Just do you! When starting out try out lots of things. As you develop your interests will start to find a focus. Photography is your interest. Do it your way. When learning you’ll find joy in just trying out many new things. As you develop you will find your way of doing things becomes a form of self expression. Letting out the inner you in your photography is one of the highest forms of success. Every photograph is a unique form of communication. So when you focus on something that you are interested in, passionate about, you express your inner self in a powerful way. Self expression is how top photographers make a success of their business. Clients come to them because they like the way the photographer does it. Less experienced photographers think that they will only “make the grade” by dreaming up something new. It is a seductive idea – our modern culture is built on “new”. Trust me on one thing. There are very few ways of doing something “new”. New techniques, new ideas, never-seen-before views… totally new stuff – these things are far and few between. Photographs are published online in their millions every day – literally. A photographer cannot hope to do “new” all the time or even frequently. “New” is something that will happen – but normally as a result of a very individual form of expression. When you really express you, really do it your way, you are doing “new”. Truly individual expression comes from doing it your way. The picture may be of an oft-seen subject. The way you do it is what will make it a lasting image in the mind of the viewer. If you concentrate on developing your pictures around your special way of seeing you will be developing your style. That is what will give you the edge, the new way of doing it. Look for the light the way you like it. Take the point of view you like to see things from. Express the colours in the scene in the unique pallet you love to have around you. These things will all contribute to your style and your expression. Ironic isn’t it? So many photographers look for the new, the different, the next new idea. If they spent a little time looking at what they were really interested in they would find the “new” within themselves. If photography becomes an stressful search for something that is not in you, then the fun will go out of it. Investing your shoot-time in a personal interest will bring out your passion in a unique way. In so doing you will increase your enjoyment. You will also find the “new” you were looking for. You will also find a new way to express your inner feelings about the world around you. Is the end near for copyright? Principles for excellent photographers – yes, thats you! Posted on February 7, 2013 by Damon (Editor) | Comments Off on Principles for excellent photographers – yes, thats you! People who excel do so because they try. My students of photography are exceptional. They are dedicated to learning photography, clever, talented and they enjoy what they do. They don’t know how talented they are, they are not ready to move to the next level or to take charge of their photographic destiny. Most of them hold back. Those students are you! Photography is a uniquely self driven pursuit. You don’t need to be “ready” – you need to have a go… Everyone can be exceptional if they try; most don’t. Here are the principles to help motivate the next move. They will take your photography to the next level and get your pictures out there. You can do some incredible things with photography. Imagine what you want to do. No matter how amazing it sounds, no matter what you want to achieve, or how out of your reach it seems – imagine yourself doing it. If you have that dream, that goal, that vision in your mind, you are on the road to success. This is your dream. No one else’s. Only you want it. Make a deal with yourself to fulfil your own contract. You are going to reach that goal you envision. You will get help and work with other people, but that contract is your guide. Be your own leader, worker, supporter, friend, cheerleader troupe and advocate. Your contract is your guide. Plan how to fulfil it. Make your path obvious, map it clearly. Don’t be afraid to risk changes – be flexible. Your development can teach you better ways. Work to move quickly to your goals. Use your dream. The paths you take should reflect the importance of your contract. Take one step at a time and move smoothly forward. Do things that invigorate your soul. Get the adrenaline pumping. Do the risky things despite your misgivings. Publish a picture, dare to write to a celebrity for a photo-shoot. Challenge your limits. Take risks to push your photography beyond comfort. Make your heart pound. Don’t protect yourself or create limits. Take some risks, it opens doors. Try new things, it makes you take a new look at your photography. Start immediately, stretch your limits. Doing new and exciting things will get you attention. Sometimes you will be the toast of the town. Sometimes you will feel you are drowning in the pool of criticism. Stand-outs, leaders and risk-takers all have enthusiastic followers. The down side is the critics cluster around too. But when the going gets tough, the tough get going! Being neutral will consign you to obscurity. Get used to being on the crests of waves and in the trough between them. They come together, but the benefits win out. Stay with it. You don’t need to wait for validation, promotion or the big break. You are not going to be ‘discovered’. You are ready now. Moving on is liberating and simple. Take the next step on your own initiative. You know you can do it. So take the next move – dare to work to better your photography, dare to be bold. Don’t question yourself – you are ready. If your vision is different, innovative – that is good. Dare to think different. Push your style to its limits. The unique, quirky and out of the box style gets attention. Don’t listen to the inner art critic. You can let your style out. You can realise your artistic and photographic talent. Be different. It will be your own personal validation. It is a licence to show people how you see. Seeing is what photography is about. Be quirky – show the world. Ask for help. Ask for advice. Make your own decisions about moving forward. Assess advice yourself. Be confident in your assessment. Work to your agenda. Your development, your talent, your ideas are only going to be successful because of you. Other people have agendas of their own for helping and advising. While some things others say will be useful – some will not. Review your “contract” with yourself. Check that the advice of others fits with your inner direction. Test all advice you are given and follow only the advice that benefits your long haul goals. Focus your attention. Do the unthinkable. Push the limits, take your photography to the edge – push your skills. Remember, learning and redefining your boundaries is hard. You will be challenged and you will find it tiring. Stretching yourself becomes a compulsion once you start. Make sure you have some “you” time. Take time for respite. Be rested – be more effective. Share your knowledge, skills and talent. There is no greater self development than to share and teach. Be generous with your help of others. Give of yourself so that you can feel fulfilled as a person as well as an artist and photographer. If you are helping those who will be the future of photography you will also be the parent of a trend. Don’t hold back your talent. Let others benefit. A wave will carry you for free. Commanding the tide not to rise is futile and saps your strength. Share and you will reach your goals. Why are you waiting? Be you – just do it! How To Be Creative – its not a talent! Comments Off on Principles for excellent photographers – yes, thats you! Ten Tips about self expression. It takes time and effort to learn to communicate. …but which are not about taking photographs. 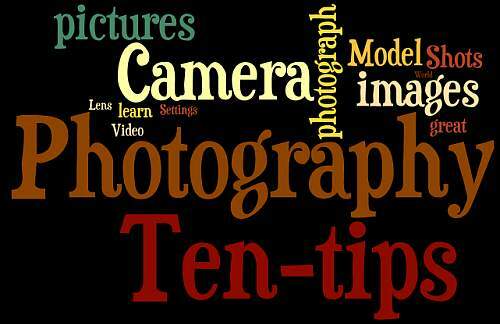 It’s great to learn all about taking photos. But, sometimes you need to learn other things. Your skill is affected by things beyond photographic skills. Appreciate the whole experience. It is not just pushing the button that counts. Photography is a form of self expression. It takes time and commitment to improve that. You need to focus on it. Think about releasing energy. Your creative energy. To improve self expression in photography, learn how to do in many ways. Not only through your pictures. If you are doing photography to be famous – try something else. 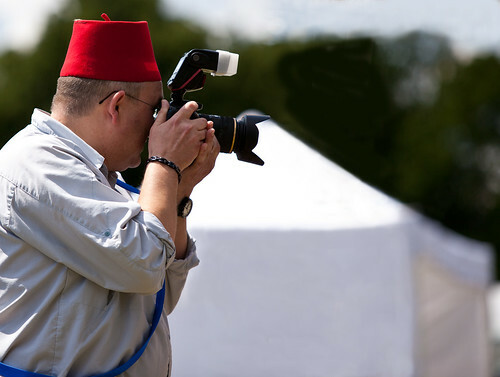 Great images are only made by well prepared photographers who concentrate and attend to detail. Try the methods of other photographers. Don’t copy them. Be you. Work to be better. Make friends who also do photography. Learn from each other. Make mistakes freely – but work to improve everything. Observe yourself. Know you, know your photography. Work to improve you. Good photography will follow. Improvement is a habit. It comes out in everything you do. Improve your writing, talking, drawing, photography… all your self expression. Your passion only shows if you can freely express yourself. Always pack more warm clothes than you need. You cannot concentrate and be creative if you are cold. Openly discuss your opinions about photography. Talking helps you learn. Self expression takes practice. Study how YOU communicate. Then you will know how your self expression works. Photography is like every form of art. It is a way of talking to the world. You are talking to those who see your pictures. Expressing yourself through this medium is about learning self expression in general. That includes the way you communicate in other ways. If your general communication improves you will help your photography. Your new self-knowledge will show itself through self expression in your photography. @Photokonnexion – Motivational Tweets for photographers. Subscribe to our email tips now!